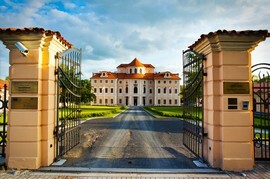 The conference will be held in the beautiful Liblice Castle Hotel. 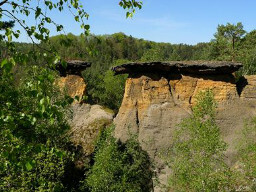 Kokořínsko is known for its picturesque landscape formed by various bizarre sandstone rocks, crystal-clear lakes, deep forests and one of the most romantic of all Czech castles. Wander through a region that seems to have tumbled out of the prettiest of picture postcards. 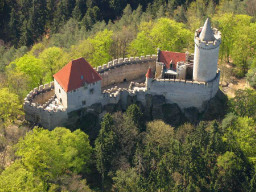 Kokořín Castle was built in the first half of the 14th century by order of Hynek Berka z Dubé. It was heavily damaged during the Hussite Wars and stood in ruins until the reconstruction campaign of 1911–1918. It has been designated a national cultural landmark since 2001. See photos from the area. The accommodation for invited speakers and a limited amount of participants (~30 people) is provided at the conference hotel. 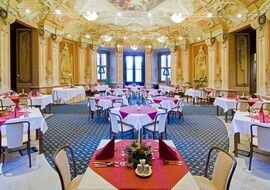 The others are encouraged to find an accommodation in a nearby town Mělník. We will provide a bus to the conference hotel from your place. 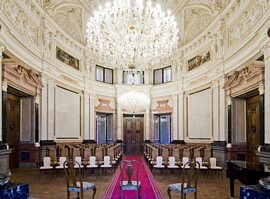 In case of overbooking of the conference hotel, the "first-come, first-served" policy will be applied. We will organize a bus from from Prague Václav Havel Airpot to Liblice and back. The details can be found here.